Article 17 - UN Convention on the Rights of the Child. 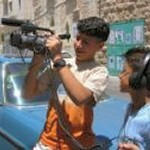 In 2005 Mouth That Roars went to Bethlehem, Palestine and worked with Ashraf Shaheen who runs a centre for young people in Bethlehem and over six days MTR trained a group of young people to make a film about their everyday lives. �Our Everyday Lives Bethlehem� explores the young people�s everyday lives, where they live, the activities they are involved in, their beliefs and how they feel about the world around them and what are their aspirations for the future. MTR recently gave the group disposable cameras for a period of 24 hours and they captured images of their lives. These wonderful images have been produced in a book (available on our merchandise page) and demonstrate the creativity of the young people and express how they feel about their world. 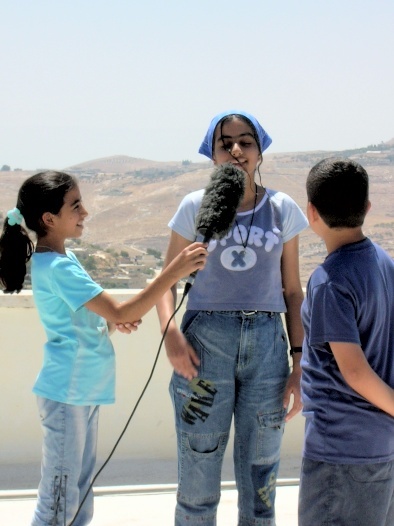 MTR has given a projector and small camera to the group so that the young people can tour schools and areas where there is little or no access to film, in order that other young people can access films made by young people and world cinema. 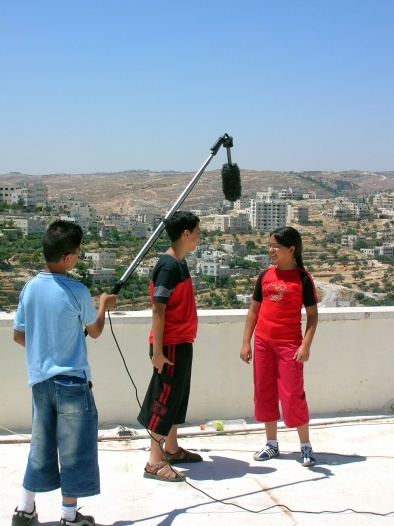 MTR aims to return to Bethlehem soon to work with another group of young people to produce a film highlighting Children�s Rights which will be used as an educational tool.